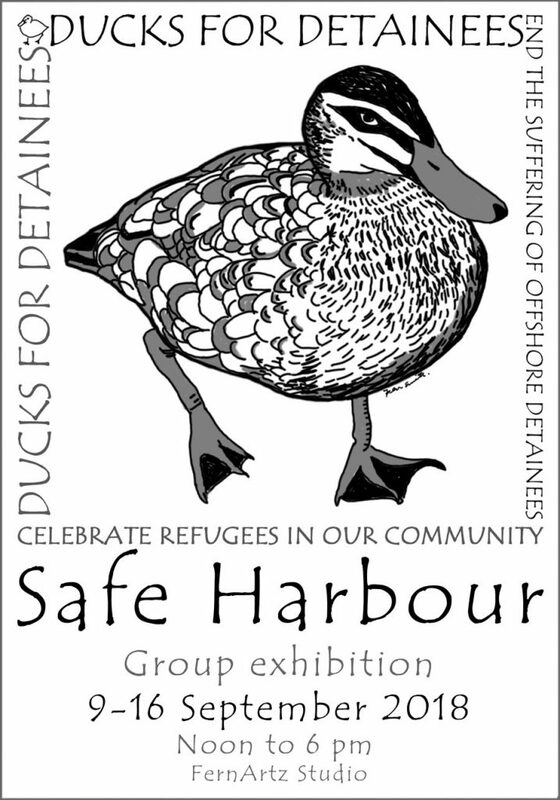 The artists crafters makers and activists who partake in the activities of Ducks for Detainees group are holding an art exhibition at the studio 9-16 proceeds go straight to off shore detainees. There will be something for everyone. Please share.